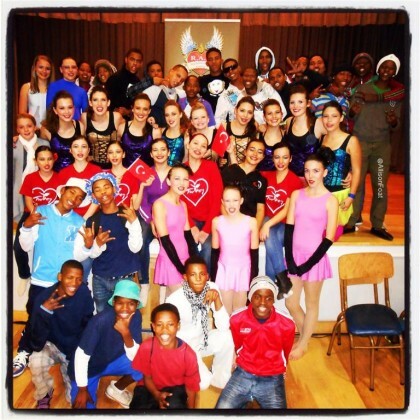 The Montagu Music, Art, Drama And Dance Festival (M.M.A.D.D) was once again a huge success this year. Young artists, musicians and performers from Montagu, surrounding towns and communities, Cape Town, George, PE, Mossel Bay and Malmesbury displayed their delightful talent over a two week period that culminated in a Prize Giving ceremony on Saturday 28 July at the Montagu Primary School. Okcu Ballet School from Bodrum in Turkey, the George Musical Theatre Academy, Montagu trained dancers Mthuthuzeli and Aviwe November, orchestral and ensemble performances by Paul Roos, Rhenish and Bloemhof and the choir evening in the NG Kerk. Encouraging to see the increase in art entries and literature & poetry as well! Festival Director, Helen Gooderson says: "It was wonderful to see so many new schools participating and to have such a high standard across the board". Approximately 68 schools took part with more than 250 competitors staying over in Montagu for at least part of the festival, getting to experience the beautiful town and enjoying the warmth and hospitality of its residents. The Adjudicators in the various categories were very impressed by all the contributions. Judging the festival this year was Dr Loftus Heunis and Emile Minnie for Music; Godfrey Johnson and Fahruq Valley-Omar for Drama; Allison Foat and Fiona du Plooy for Ballet and Dance; Mavis and Ashley Jacobs for Ballroom & Latin American; Carolyn Metcalfe, and Ronel Preston for Art; Laresa Perlman and Hassner Pepler for Photography and Anita de Kok for Literature. M.M.A.D.D was started in 1995 by the Tourism Association, Montagu High School teachers and volunteers and has grown in strength over the past 17 years. In 2011, Helen Gooderson took over the reins as Festival Director and renamed it as the Montagu Music Art Dance and Drama (M.M.A.D.D) Festival. She simultaneously registered the Rural Arts Development programme (R.A.D) as an NPO. The festival works closely with R.A.D and offers an excellent opportunity for talented youth in all communities to have a performance platform and gives developing talent the chance to network with artists and professionals from all over the Province. This year RAD was able to sponsor 67 competitor entries in Art, Music, and Drama. The festival would not have been possible without the generous support of the Cape Winelands Municipality, Montagu Springs, Montagu Country Hotel, Avalon Springs, Locarno Dried Fruit, Die Boord, the Olive House and Ye Olde Tavern.